Some absolutely bitching motorcycle helmets from French designer Jérôme Coste, who became interested in designing protective headgear after suffering his sixth high-speed cranial fracture. 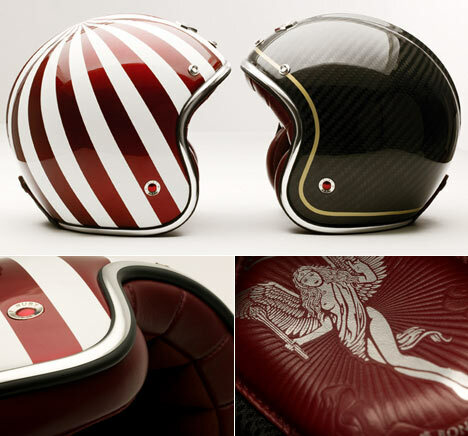 The designs are inspired by sci-fi movies, Japanese anime and a dash of Steve McQueen. This is the type of helmet you wear when you get onto a motorcycle, light yourself on fire, give the thumbs up, and proceed to be hoisted down into the sulfur-scented barrel of a gigantic cannon aimed at the other side of a magma-filled gorge.